Yesterday my post was all about radiance achieved with Hocus Focus from Soap & Glory today the theme continues. If you prefer to look bright and radiant without a hint of shimmer then today's post is for you. I absolutely love Clarins Beauty Flash Balm.This is a truly fantastic product and one that is going to be added to my Beauty Essentials page. As such an iconic product I quite simply had to try it to see what all the fuss was about. Yes, I am now a convert. Beauty Flash Balm claims - To brighten and tighten. Suitable for ALL skin types. To use - Apply after cleansing and toning ( you can use with a moisturiser but you don't have to) using a pea size amount apply a thin layer to your face without massaging in. Apply makeup immediately. Beauty Flash Balm can also be used as a facial mask 2 or 3 times a week. This product comes in a squeezable tube, easy to get the right amount out. Apparently when you use this product you will literally feel it tighten your features..I am going to admit I have used this quite a few times now, with and without moisturiser to see if it makes a difference and I have yet to get that tightening feeling ..most unusual. However, my appearance does look like I have had a mini facelift, and I look wide awake, whether it is because I expect to look great I don't know, I just look in the mirror and feel that I do! Beauty Flash Balm is considered to be an amazing primer and is used and rated by many make up artists. When I use it my skin feels silky soft on application, the effect really is instant brilliance and a more radiant appearance. It doesn't hide pores but it provides an excellent, smooth and long lasting base for makeup, keeping it in place for hours. I wouldn't use this every day (it is quite expensive) but I used it when I was feeling under the weather recently and was complimented on how well I looked! I use this particularly when I feel like my skin is dull and I need a boost. I think Beauty Flash Balm works really well as a day product as opposed to Hocus Focus which I prefer to use in the evenings. I cannot rave about this product enough and can definitely recommend this as a must have in your make-up bag. Clarins Beauty Flash Balm - Price can vary from £20-£27 depending on outlet so it is worth shopping around. 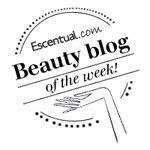 Have you tried Beauty Flash Balm? Wooooooooooooo Ive got that. I had a mini one and boy am I making it last. I really wanted to buy thi, so when I was on the plane back from Antigua earlier this year, I found it in the flight mag, and asked to buy it. They took my card and off they went, and I didn't see any attendant again for hours. They finally came and said they flight shop had closed- I was fuming! Aaanyway, so I still don't have it- but reading your review, I am really wondering whether this could be the same thing as Boots Time Delay skin treatment radiant booster- as I used to buy this ALL the time (with my £5 vouchers) and it does exactly what you described in your post. Gives face a radiant boost, look more fresh and awake and so on. I LOVE beauty flash balm. I don't know what's in it to make it different to other primers but it really does make your skin look fresh & dewy. If I'm having a day when I think my skin is looking pretty good I just stick some of this on with mascara & go. LilaVanilla - It is pretty amazing stuff.